MacLellan Rubber have invested heavily in the development of FoodSafe materials and supply a range of industry leading materials that exceed many of today’s global standards. Our FoodSafe EPDM, Nitrile, Neoprene and Natural Rubber Sheeting are all independently tested to meet EU1935:2004 and certified accordingly. Beyond this we have developed these materials to be free of Animal Derived Ingredients and Nitrosamine Free, reducing the level of carcinogenic compounds typically found in polymers to almost zero. These features ensure that our FoodSafe Rubber Sheeting materials are essential for users of seals, gaskets, extrusions and mouldings within the Food & Drink, Pharmaceutical, Biomedical and Cosmetics industries. MacLellan Rubber have further improved our FoodSafe product range with the introduction of Metal Detectable Nitrile Rubber Sheet and Compound under the Mac-Netic brand. This material is a major technical advance bringing industrial users a material that performs well against oils and fats and offers better wear resistance than metal detectable silicone. 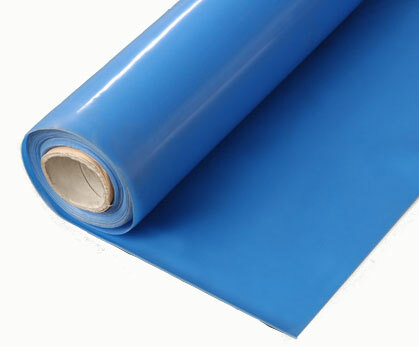 The Sheet Roll material is ideally suited to the manufacture of gaskets, seals, and wear strips whilst the compound is used in the manufacture of mouldings, extrusions and hoses, and as a covering on rollers installed on FoodSafe equipment. MacLellans range of Fluoropolymer compounds for FoodSafe use include Silicone, Platinum cured Silicone, Fluorosilcone, and Perfluoroelastomer and FDA approved Chemours Viton. These materials offer significantly better temperature and chemical resistance than standard synthetic compounds at a price that reflects their performance. All our FoodSafe materials are available as Rolls of Rubber for manufacture of gaskets, seals and strip and as uncured compound for the Moulding and Extrusion manufacturers. Fluoropolymer compounds are available as rolls but more commonly as moulded sheets.